Santosh Rampersad passed away on the weekend. Santosh Rampersad sadly passed away on Saturday 24 November 2018. 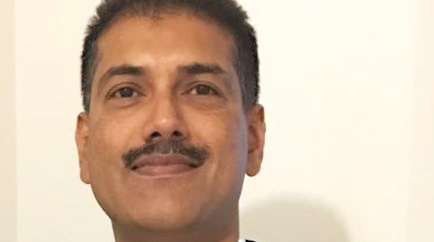 Many Western Sydney Local Health District staff would have known Santosh for his devotion to the training of junior medical staff as the Education Support Officer for the Sydney West and Greater Southern Psychiatry Training Network. Santosh held the role for three years and was vital to the operation of the training network. His presence will be greatly missed. Santosh also worked in a number of areas across the district including pathology, transport and various other positions through the administrative casual pool. Akshay, Reena, Samiksha and Santosh Rampersad at Samiska’s 21st birthday. Western Sydney Local Health District Mental Health executive director Beth Kotze said a number of consultant psychiatrists have met with the family and provided support when the sad news came through. “Our thoughts are with Santosh’s wife, children and family during this difficult time,” Ms Kotze said. The funeral will be at 2pm on Friday 30 November at Castlebrook Cemetery in Rouse Hill. Everyone is welcome.